Newbies to kombucha generally arrive with a myriad of questions. 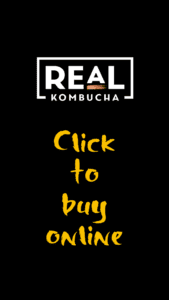 First up, naturally, is “what is kombucha?“, followed swiftly by “what does kombucha taste like?“, and then usually, “what the hell is a scoby?” As the links I’ve just provided suggest, we’ve answered these questions several times in the past, but one common question remains unanswered (on this blog, at least). It’s a perplexing question – something of a brain-teaser – mainly because the name offers hints and suggestions while at the same time taking you off on a bit of a wild goose chase. To those in the know, ‘kombucha’ sounds Japanese. That said, those in the know will also recognise that while cha is Japanese for ‘tea’, kombu translates as ‘kelp’. This is most certainly not any form of seaweed tea, and straight away we recognise that assumptions will get you nowhere when it comes to this fascinating drink. Where does kombucha come from? It’s China, right? It’s possible that kombucha comes from the ‘mystic East’, but the evidence that China is its birthplace has to be taken with a pinch of romantic salt. While it’s certainly very easy to see why scholars would link China and kombucha (China has been fermenting food for thousands of years, and the country is home to a tea plant or two), the most commonly-cited origin story seems to be a bit of a red herring. We’re regularly told that the first emperor of China, Qin Shi Huang, drank kombucha for its health benefits and subsequently gave it the name lingzhi – ‘the elixir of immortality’. A suitably intriguing tale, you will agree, but one that falls at the first hurdle. Kombucha expert, Hannah Crum, has pointed out that while lingzhi may well translate as described, it’s not the word that anyone in China actually uses for kombucha. Where the drink is consumed, it’s known as haibao (which, rather confusingly, translates as ‘sea treasure’). Crum also points out that tea didn’t become a big thing in Chinese culture for close to a thousand years following the first emperor’s rein. Had he discovered a tea-based life-force, you might assume that he’d have encouraged others to drink it. If he did, the hipsters weren’t listening. It doesn’t appear to have taken off. Oh, and just to add extra cloudiness into the mix, lingzhi is the name given to reishi mushrooms. It’s possible that Qin Shi Huang was drinking a kind of mushroom concoction as an elixir, just as it’s possible that the mushroom in question refers to a scoby. The only thing we can say for sure is that we’re now in the realm of pure conjecture. During Hannah Crum’s research, she spoke to a number of people from around China to try and find out where the drink might have originated. ‘Where does kombucha come from?’ she asked. ‘China,’ came the unanimous reply. 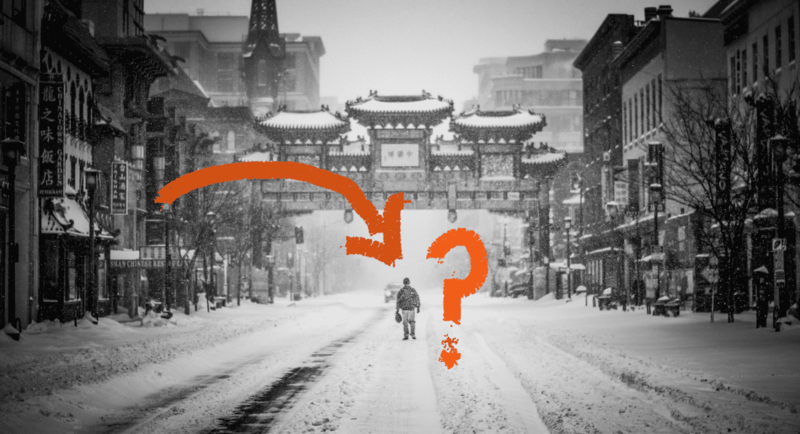 ‘Where in China?’ The list of answers to that question appears to be endless. Inevitably, the provinces of Manchuria and Silla (now areas of the Korean peninsular) are eventually suggested, and it is from the latter kingdom that a doctor known as Komu-ha apparently originated. The good doctor is said to have brought a ‘special remedy’ (kombucha, naturally) across the sea to the Japanese emperor, Ingyō, sometime around 414 AD. In England we play a game known as Chinese Whispers, in which a word gets distorted as it is whispered into the ears of a line of contestants. From ‘Komu-ha’ to ‘Kombucha’ – while the word doesn’t appear to have changed all that much, it’s tough to see how this would stand as fact in a court of law. Once the above Korean story arrives in Japan, Komu-ha is renamed Dr Kombu and his magical tea really takes off. Or does it? The evidence suggests that Japan didn’t really start drinking tea until 500 years following this particular origin tale. Hannah Crum also points out that the samurai began drinking actual kelp tea (kombu-cha – see the second paragraph of this article) which might’ve confused things. However, given that the samurai didn’t become prominent in Japanese society until several hundred years later, it seems unlikely that there were two drinks named kombucha in circulation at that time – the people had nothing to be confused by. Where does kombucha come from? Russia! It must be Russia! Japan plays a part in some of the Russian claims for having invented kombucha, with the suggestion that it arrived during the Russo-Japanese war. However, this would give the drink the tender age of about 115 years old, and given that the chemist Robert Thomson presented something very scoby-like to the Royal Philosophical Society of Glasgow (who must’ve reacted with something akin to an existential crisis) in the 1852, it simply doesn’t make for a very convincing origin story. 30 years later, Dr A A Bachinskaya began studying scobys from across Russia, concluding that one form of bacteria common (xylinum) to all her samples might well have been spread by insects from throughout Europe, Asia and Africa. In which case, all bets are off when it comes to answering this most perplexing of questions. Where does kombucha come from? Only the old mothers will ever really know, and they’re not saying. Main image via Unsplash/ Matt Popvich.